Back in the 1990s, the creative industry was going through an acute shortage of properly-trained creative professionals. In response, a panel of creative leaders came together and formed their ideal training centre; a place that provided real art and design education, professional training and world-class results. In 1991, The One Academy of Communication Design was established as a private art college and soon proved its worth producing industry-standard graduates. Then, in 2003, the academy was awarded the Multimedia Super Corridor (MSC) status by the Malaysian government, an acknowledgement for IT-related organisations for facilitating and complying with Malaysia’s k-economy. Within the same year, the academy was also conferred a Special Award by the Education Ministry of Malaysia, acknowledging its strong record in nurturing high achievers with art & design training. 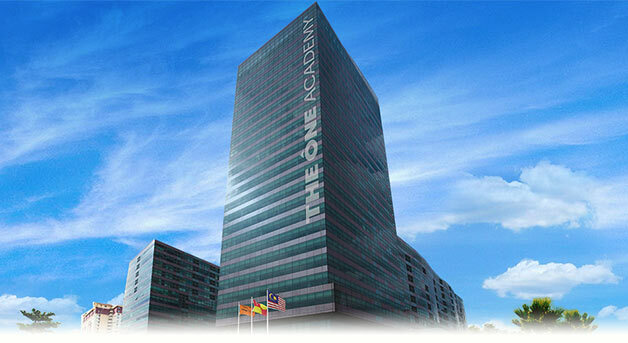 The One Academy pursued the North, Penang in 2009 and opened a branch to continue to reach eager generation of creative talents, wherever they may be. Today, The One Academy is internationally recognized as one of the most respectable institutions in art, computer graphics and communication design. We ensure our programmes are accredited by the Malaysian Qualifications Agency (MQA) to provide the very best art and design education that is solid with consistent professional training that fuels our students’ passion and prepares them for the road ahead. Our most successful graduates are now steering high-profile careers in Kuala Lumpur, Hong Kong, Beijing, New Zealand, San Francisco, New York and many other major metropolises around the world. Through the years, our students and graduates have successfully bagged numerous renowned awards for their creative solutions locally and internationally.